Let’s face it, it is boring playing video games alone. Thank goodness there are lots of gaming programs designed especially for gamers to share their gaming experience and play with others even. But there are tons of such game recording software out there that claims to be the best screen recorder for games. How do you take the right pick? Which program actually contains all of the important features necessary for capturing gameplay? Stick along as we take a look at various game capturing programs that can be considered the best game recording software in the market. 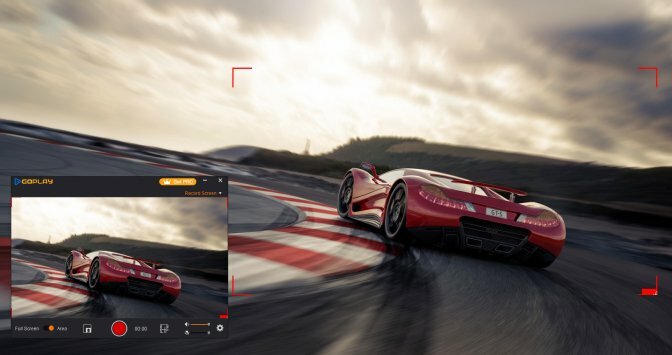 But before then, let’s take a look at some of those important features we should look out for as we analyze the so-called best game capture software. The number of fps supported is of utmost importance as this goes a long way affecting the quality of the videos recorded. A good game recording software must support up to 60 fps. For beginners especially, you might want to consider if the game recording program is furnished with benchmark-setting as it helps to alleviate the stress associated with the complicated settings that most game recording software come with. It is useless to buy the best screen recorder for games that do not come with a user-friendly interface. Ease of navigation should be one of your priorities as you decide to procure the best game capturing software. While it might look trivial, it is also important to consider the price of a gaming program before purchasing it. Why spend so much when you can get all of those features in a good game recording software that cost way less? The video format is yet another point to consider. Who wouldn’t want a high-quality video? With that said, let’s take an in-depth analysis of the following best game capture software. 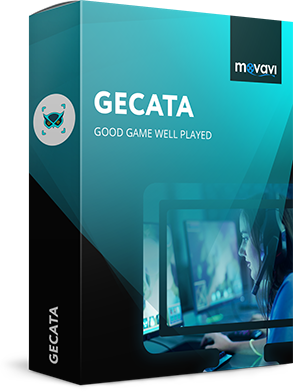 The Movavi’s Gecata is a good game recording software designed especially for recording gameplay time in HD. This easy-to-use screen recorder for games is furnished with lots of features that make it stand out from the crowd of best game recorder available online. The Gecata offers its users the opportunity to record gameplay up to 60 frames per seconds (fps). The benchmark settings allow you to adjust the recording setting to your preferred style and record videos in different formats too. Gecata records videos in high definition. It records gameplay in more than one video format. The free version includes watermarks in all recorded videos. The best way to preserve your gaming achievements. Of course, Bandicam makes it to our list of top 8 best game capture software for video games. This game recording software is designed to allow its users to record video games in different quality – 2D, 3D, and HD. It is furnished with an easy-to-use interface for both beginners and professionals to enjoy real-time game recording on their PC. It supports the addition of mouse effect. Bandicam allows its users to record external devices connected to their PC. It is furnished with different codec formats. It supports video compression for small files. It does not limit video recording to any specific time. Online streaming of games is not supported in this program. Lag issues come up sometimes while recording video game. The trial version limits gameplay recording to about 10 minutes. Fraps is one of the best gaming software to capture playing experience equipped with an fps counter that allows gamers to monitor their performance while playing. Although the free version limits the use of some of its features, with a onetime payment you can enjoy all of its amazing features with no restriction. It comes with a built-in fps counter. Watermark is included in the recorded videos. The free trial limits game recording to about 30 minutes. This is a good game recording software best known for its ability to produce high-quality videos. 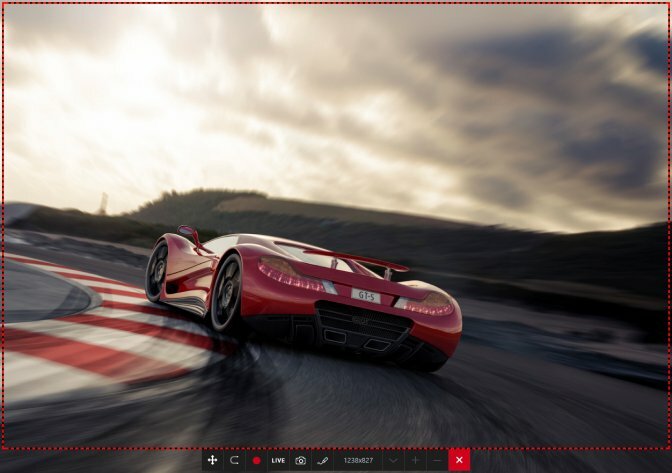 The GoPlay Editor is your sure bet in capturing live footage of any 3D video game on your PC. It is packed with lots of features that allow you to edit your gameplay to your desired taste. Unlike most screen recording for games, it saves you some megabytes as it records every video game in small sizes. It is opened to a larger audience as it is available in 52 different languages, which makes it one of the best game recording programs for just about anyone. It is designed to allow its users to add mouse click effect and animation in every recorded game. It records gameplay in multiple video formats. Live streaming is not supported with this game recording program. It includes watermarks in every recording in the Free Trail mode. This lightweight game recorder is one of the best screen recorders for games out there. It offers its users the opportunity to record on-going video games and allows them to customize each recorded video to their preferred style. Loilo game recorder is good game recording software equipped with features that allow you to capture live footage from your PC. There is no time limit for recording video games. It supports sharing of gameplay on platforms like YouTube. There is a minimal performance loss compared to other game recording software. It requires no cost as a prerequisite for accessing its features. The program is not compatible with Windows Vista and XP. Action! The Mirillis Action is one of the best game recording software out there. This easy-to-use screen recorder for games is designed to allow for a real-time game recording in high definition. Unlike its competitors, it doesn’t take so much time to find the right configuration, which makes it the best game capture software for beginners and experts alike. One striking feature of its many amazing qualities is that it provides its users with a stable recording compared to its competitors. This gaming software is compatible with any Windows and supports more than one video format – AVI and MP4. Although it comes at a cost, it is packed with amazing features that make it worth it after all. Users are also allowed to stream videos on different platforms such as Hitbox, YouTube, Livestream, Ustream, etc. Supports live streaming on different platforms. Allows users to customize recorded videos. Videos are recorded in HD. You will have to monitor the recording to be sure it is of high quality. It is pretty much of a hassle converting the recorded video games. 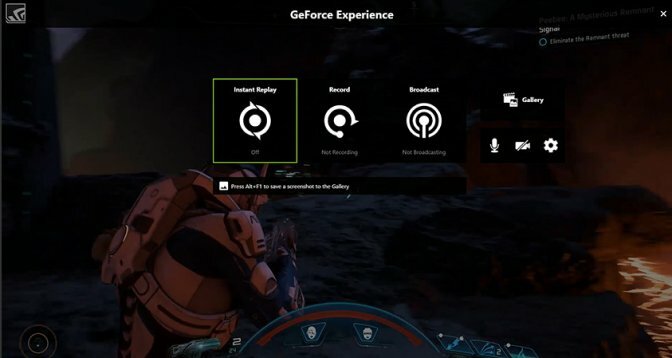 Gameplay recording is limited to 10 minutes on the free trial mode. Frame rates cannot be customized. The Mirillis Action! requires a decent spec machine to function properly. It is not equipped with as much personalization options as most screen recorders for games. 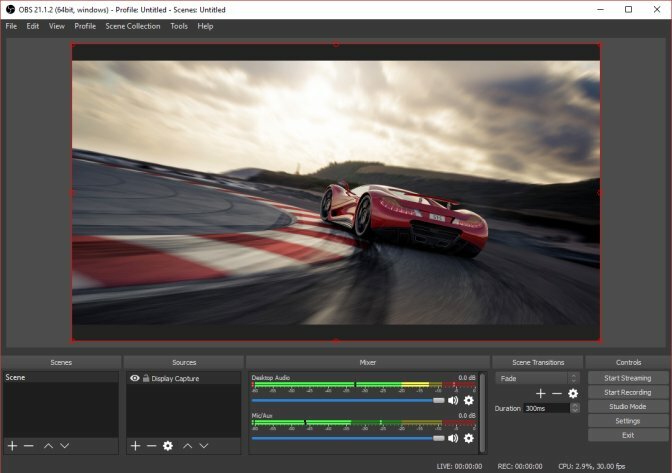 Our list of best game capture software will be incomplete without the Open Broadcaster Software (OBS). This game recording program for PC is best known for its support of Live streaming and production of high-quality video game recording. 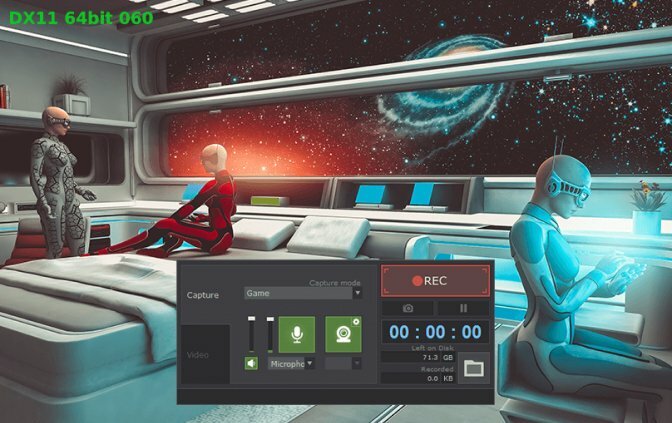 Unlike most gameplay recording software, the OBS is available to everyone at no cost and allows for an unlimited video game recording session. What’s more? This program is equipped with the ability to record games in multiple video formats – MP4 and FLV and it is compatible with Windows, Mac, and Linux. Also, it comes with a variety of video frames, allowing users to edit gaming videos to their desired taste. Users are provided with the opportunity to stream games live on different platforms such as YouTube, Facebook Live. Twitch, Hitbox, etc. OBS allows users to record gameplay in high definition (HD). It contains no additional watermark. It offers quick screen game recording to all PC users. It allows users to capture, mix, and edit game videos to their preferred style. It also allows users to duplicate existing videos, add new sources, and adjust the video properties even. Scenes are difficult to build sometimes. It lacks a user-friendly interface compared to other game recording software. I would say I saved the best for the last but they have all got unique features that make them stand out and the Nvidia Shadowplay is not left out. This game recording program is specially designed to cater to the needs of gamers who have the GeForce GPUs installed in their PC. Before now, gamers with the Nvidia graphics cards are subjected to using 3rd party programs for recording their gameplay time but that is not the case anymore as Nvidia has specially designed Shadowplay to provide its users with the ability to save videos even from past scenes. Nvidia Shadowplay is one of the best screen recorders for games as it provides users with quality video recording. One of its amazing features is the ‘instant replay feature,’ which most of its competitors lack. Users are allowed to stream the internet freely. Supports shadow time feature in every game recorded. It requires no cost to enjoy its amazing features. There is no time limit for game recording. It does not include watermarks. Supports an instant replay feature. It is equipped with a user-friendly interface. It is available to gamers with Nvidia graphics cards only. It is not furnished with as many features as its competitors. There you have it – our list of the top 8 best game recording software. I guess the decision-making process is a lot easier now, knowing all of their features, pros, and cons. All you have got to do is take a pick and give us feedback on its performance. Have fun!